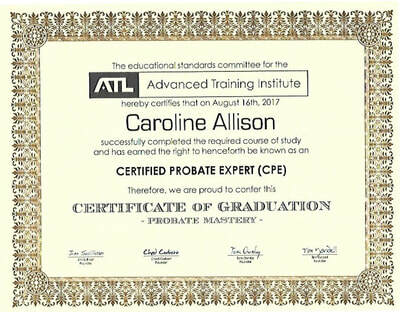 Welcome to Caroline Allison probate agent page. You are right at home with the most experienced probate agent in Houston TX. We know the distress that most families go through when trying to sell the homes of their deceased relatives. Many of them sell these houses below their actual value while others are conned out of the property by untrustworthy agents. Others have unending court battles over their probate properties. We understand the hardships faced by many administrators and executors who are entrusted with taking care or sale of the property after the relatives have passed on. We are available to give quality services at every step of the way in managing the properties. 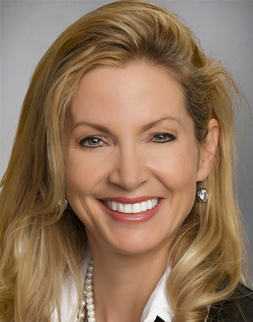 I have dealt with a variety of cases where families need assistance to sell a deceased person’s property. Given my experience in the field, I can offer to assist in a broad array of areas affecting the probate properties. 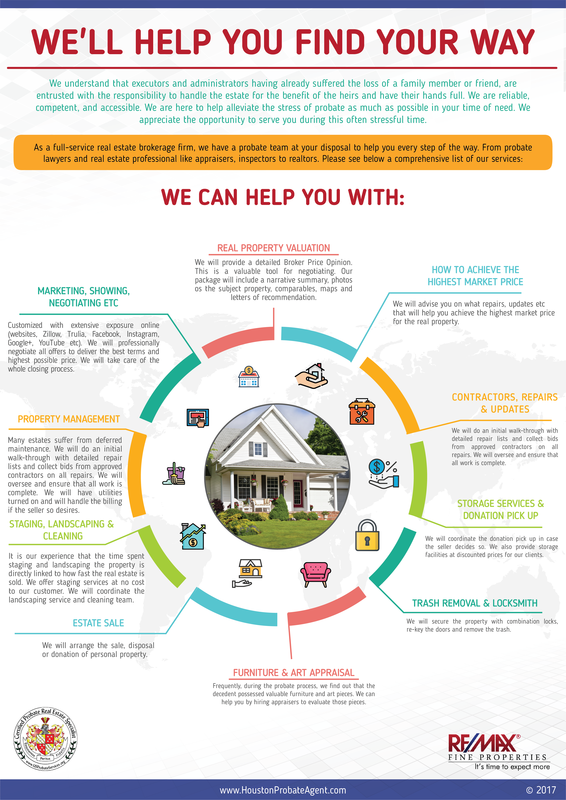 We will advise you on ways to update and repair the house in order to achieve the highest price in the market. Many estates suffer from long periods of abandonment and deferred maintenance. We do a thorough survey of the property and come up with lists of required repairs. We then invite contractors to give bids and ensure all work is done and completed. We will manage all the contractors throughout the process to ensure quality repair work. We can manage your utility bills or shut everything up if no one is staying in the house. To ensure that the property is secure, we will rekey the existing lock and provide new lock combination for doors whose locks are faulty. We have a large network real estate websites and lists including Zillow and Trulia. We also list our properties on social media on Facebook and Google+. We also promote properties on YouTube. We will arrange for the showing of the house and professional negotiation of the offers to ensure that you get the best price for the home. Just in case you would like to give some of the items as donations to charities, we can pick up the items on your behalf. Moreover, if you would like to store some of the items such as in the case when the house has a new owner, we offer these services at good prices. We are a professional team that ensures all the requisite procedures are followed to the letter. We are highly trained and understand the industry inside out. Therefore, you can rest easy knowing that your needs will be catered for perfectly. You can trust us to keep our promise. Over the years, we have offered probate services to individuals and families in similar issues as the ones discussed above. We are a shoulder you can lean on during your most trying times call us today. 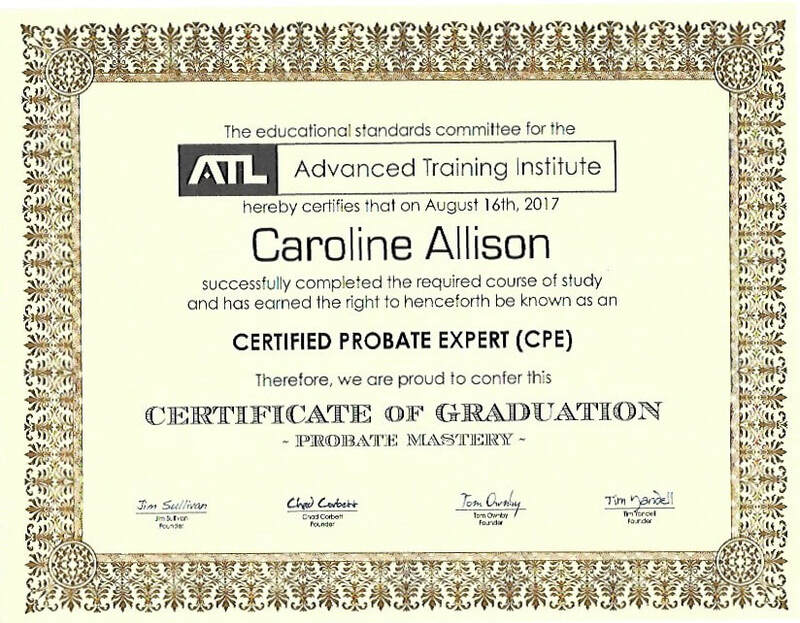 Do you have some issue related to a probate estate? Take action today, call us today, and let us guide you through the complex processes. We promise to get everything up and running faster than you can do on your own.